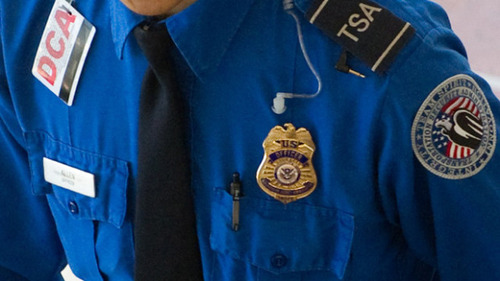 Dallas, TX (8:30 A.M. CST)— Officials from the Washington D.C. headquarters of the Transportation Safety Administration were alarmed this morning after responding to an Arab man’s frantic allegation that he was too suspicious to be treated just like every other traveler. Ahmed Abu-Dhib, an Arab air traveler, was shocked and mortified after he was allowed to pass through security without any extra screening on his way to gate 13. The 29-year old computer software engineer recounts the horror of being afforded full and complete civil rights at the expense of every other traveler’s paranoid belief that he might be a terrorist. Despite his appropriate travel attire, complete cooperation with airport staff, and prompt adherence to TSA regulations, Abu-Dhib was allowed to enter and exit the security checkpoint, in the words of Abu-Dhib, “like I wasn’t even brown or something.” After waiting several minutes for a musty TSA agent to touch him inappropriately, Abu-Dhib became concerned when it became clear that he would be treated according to his behavior rather than his skin color. Despite his safe departure and arrival this morning, Abu-Dhib says he is more reluctant to fly after today’s scare. “I feel less safe, that’s the best way to describe it.” Abu-Dhib has vowed to assist local TSA agents by “being more frantic” and “whispering in Arabic” to himself.